Cost? $155 for CMA Members, $195 non-members. Dinner? If you'd like to stay around for a light dinner, watch the sun go down over the ocean from the yacht club, and enjoy some finger-food with our staff, speakers and other guests, the cost is $30 for food, plus purchase your own drinks. You will be prompted to indicate this, if you wish, on the registration screen. Presented by CMA and the CMA Standards Council, this one-day session includes five plenary sessions, eight electives, an exhibition, and some great networking. Designed specifically for Church, School and ministry board members, this cost-effective Professional Development event will help you board both steer and protect your organisation. Gary will kick the day off with a plenary session drawing from his new book, 'The Council' - an examination of the four Councils in Scripture, and what they teach us about the underlying principles of church and ministry governance. Gary is The Generosity Monk, and President, Global Trust Partners. More about all of our presenters can be found here. Steve will lead a panel discussion examining a hypothetical scenario. This is a fictitious case, but of a kind that is sadly realistic. Steve and the panel will explore how a Christian school board might handle a particular governance challenge, and how the Senior Pastor of the connected church, who sits on the School board, might juggle wearing both the pastoral hat and the board director hat. Steve is Executive Director of the CMA Standards Council. More about all of our presenters can be found here. As the day draws to a close, Steve Kerr will lead a panel of experts in facilitation a Q&A session, engaging with questions that have emerged throughout the day, plus questions that have been sourced from a pre-event poll of delegates. Gary will close our day out with an address on Discernment in the Boardroom. As ministry boards, how can we be sure to not merely make good decisions, but to have the mind of Christ together as we lead our organisation on important matters? Note that the sequence of these four electives is not yet final. You may mix-and-match electives from either stream. Thinking strategically is one of the core capabilities of an effective Board. How would your board rate? In today's fast changing political and funding environment, sustainability and success depends on Boards being agile but strategic, and demonstrating the confidence to tackle complex and challenging organisational and people matters. This session will spotlight the principles that you need to foster on the Board and throughout the organisation to improve your strategic thinking. It will explore how the Board culture supports or hinders strategic thinking, and what to do when your Board feels stuck or bogged down in a process or operational agenda. You will hear how the Board’s culture critically impacts how management and other staff think and feel about making strategic decisions. This session will provide you with some case studies to explain the principles, and practical advice to help you foster boardroom debates that result in good strategic thinking, decisions and actions. 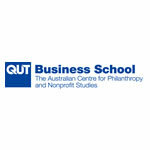 Ruth is a researcher and lecturer at The Australian Centre for Philanthropy and Nonprofit Studies. More about all of our presenters can be found here. How can board members attend to their spiritual health as well as that of the pastors and/or administrators they oversee? This elective suggests life-giving rhythms that boards and God’s workers can practice to care for their souls. The enriching ideas also position boards to nurture the well-being of the church or organisation. Jenni is the Soulcare Anchoress. More about all of our presenters can be found here. Christian churches, schools and ministries face an environment of increased scrutiny and challenge to traditional teaching, standards and tax concessions. Navigating the cultural conversations, specific issues and legal risks requires preparation, sensitivity and skill. Neither burying our heads in the sand or being belligerent is helpful. Maintaining Christian standards and explaining them in a pluralistic culture while showing love, grace and humility is the challenge. Simon Kennedy will update church, school and ministry board members on what the current issues are, and give some guidance regarding how these present realities should affect our governing posture, policies and decisions. Simon is a Director of the Institute for Civil Society. More about all of our presenters can be found here.. This session addresses key governance issues that are directed at achieving your organisation’s purpose and ministry goals and ensuring alignment within your governing board. It outlines useful tools that you can use to align the governance and decision making of your organisation to it’s mission. This session also considers how to identify the overall ecosystem in which your organisation operates, benefits of collaboration, misconceptions around conflicts of interest and an enhanced understanding of accountability in a Christian context. Peter Murphy and David Slinn will share practical real life examples of issues boards and organisations may face based on their extensive experience with a range of Board and leadership roles .There will also be opportunity to raise practical questions or issues you may have. 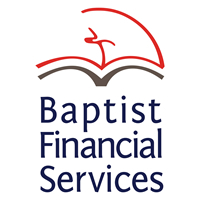 David is CEO of Baptist Financial Services, and Peter Murphy is one of their Directors. More about all of our presenters can be found here. One of the world's ministry governance gurus suggests that over 90% of problems in church and ministry boards stem from simply getting muddled about a core group of board basics. This session will give an overview of the essentials, and identify several common areas where ministry boards get a bit muddled, along with some simple solutions. Gary is National Director of CMA. More about all of our presenters can be found here. The governing body of an organisation, whatever it is called, must steer and steward it to achieve its mission. The charity regulator requires some minimal governance standards. This session will cover the standards and give some tips for good governance. It will be pitched at a basic level – not advanced theory! 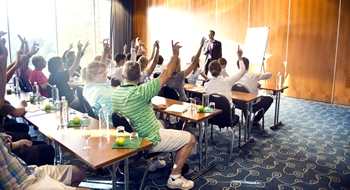 Participants will come away understanding their duties in leading a registered charity. Mal is Chair at Riverview Church and Shenton College. More about all of our presenters can be found here. Board / council members don't all need to be experienced accountants, but they do need a sufficient grasp of financial principles to allow them to ensure that the ministry is in good shape, that the board is receiving the financial information it needs, that they can interpret the reports astutely, and that they are interacting appropriately with the auditors and stakeholders. This session will give directors a valuable summary of financial issues that all board members should be across. Lance is Managing Partner at Thornburys Chartered Accountants. More about all of our presenters can be found here. There is no getting around the fact that organisations are facing more and more risk, across a range of operational fronts, and even ministry board members cannot simply pray them away. Managing risks appropriately is a critical function of any board, not only to protect the organisation and its people from harm, but also to allow the organisation to achieve its mission without the distractions that arise from preventable risks managed poorly. Breakfast: "Fresh Advice for Growing Givers in your Congregation and Constituency"
BFS has been operating for over 30 years, and provides financial services across Australia to support Christian ministry.